Pilates is a strength and conditioning fitness activity that focuses on central “core” muscle groups associated with posture and joint stability. Its emphasis is on developing strong core stabilisers, in particular, the muscles of the abdomen, lower back and hips. Many people with long-term hip joint disorders demonstrate weakness and poor flexibility of the joint and associated structures, often leading to postural and gait changes in order to compensate for the underlying condition. Unlike many other forms of physical exercise, conditioning by Pilates is generally well tolerated by people who have hip joint disorders, as the movements are non-impact, highly controlled and can be very specific to individual muscle groups. If practiced with consistency, Pilates improves flexibility, builds strength and develops control and endurance in not only the core musculature, but throughout the entire body. 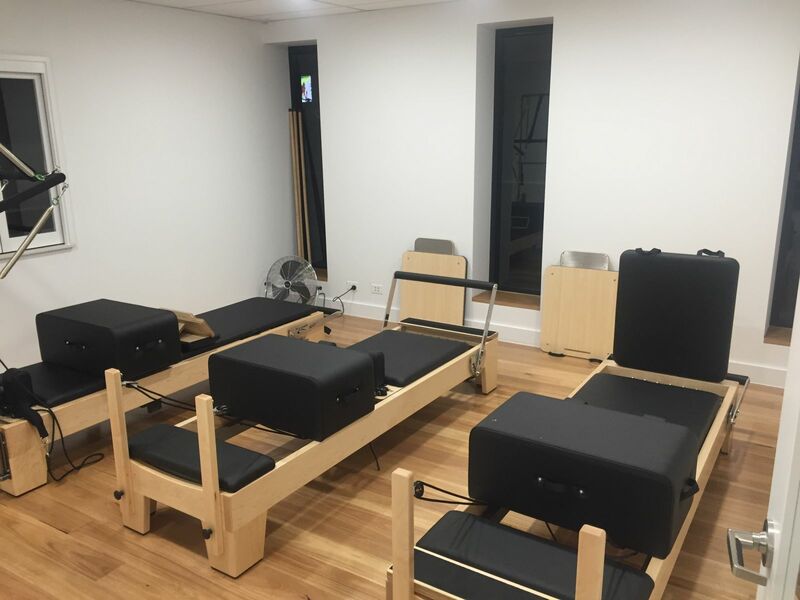 At Brisbane Hip Clinic our Pilates classes are classified as either Rehabilitation Pilates or Fitness Pilates, although there is a significant overlap between the groups. Rehabilitation Pilates is focused on specific injury or rehabilitation pre- and post-surgery, and is suited to individuals who have significant muscle weakness and de-conditioning, or who have recently had an operation related to their hip. Conversely, Fitness Pilates is more suited towards individuals without injury, who are seeking longer-term fitness and conditioning results. One of the advantages of Pilates is that it allows for exercises to be modified in range and difficulty, from beginner to advanced, depending on the client’s level of fitness and exercise tolerance. For this reason, we have found exercise prescription by Pilates to be an excellent method of treatment and physical re-conditioning for our patients. Brisbane Hip Clinic offers small group Fitness Pilates classes with a maximum of 1 instructor to 3 participants. Each person is assessed and a program is designed specifically to the individual’s goals and recovery requirements. Our classes use Pilates reformers to achieve a greater degree of versatility of exercise prescription and obtain focused results for particular muscle groups. Our Pilates instructor offers a unique skill set in her instruction – she is both a Pilates Instructor and a Registered Nurse, specifically trained in managing hip disorders after having worked in the Brisbane Hip Clinic for many years, both within operating theatres and outpatient clinics. Brisbane Hip Clinic is pleased to offer patients under the care of our allied health therapy team complimentary gymnasium access to assist with their rehabilitation and fitness goals (Link).